Christmas Advent! Magnolias and Sunlight: Christmas Advent! Scroll through to see what's new or click through the tabs to find what you're interested in! Happy December 1st, loves!! I am so happy to officially be diving into all things Christmas! 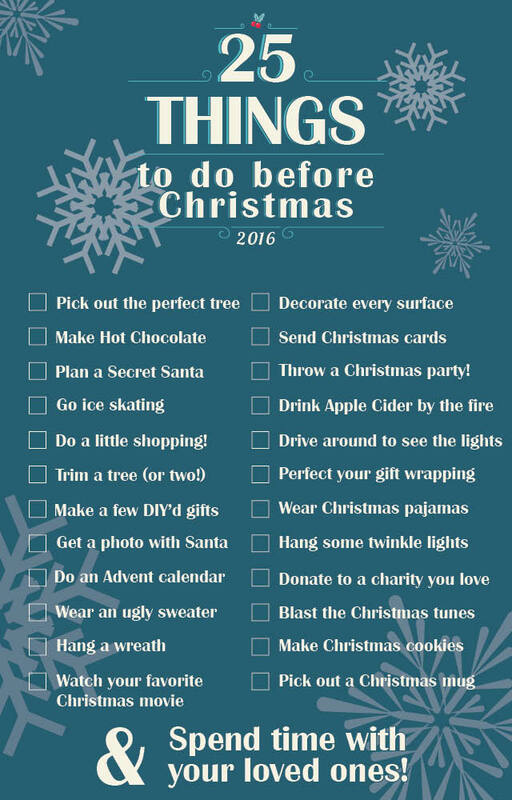 So not only will I be cranking up the Christmas station in my car, but I'm going to try to accomplish everything on this list! Last year I posted a movie advent to tackle leading up to the big day, but I wanted to challenge everyone this year to get out and enjoy some holiday cheer! A few of these have been inspired by some of my family's traditions over the years and some are just things that I really want to do to get even more in a Christmas-y mood. I am dying to go ice skating in Union Square so hopefully that happens this weekend! And on a less active note, I can't wait to curl up with some hot chocolate and watch some of my favorite Christmas movies. Also, I just bought a pair of new Hunter boots (a Black Friday find) and once they're here I will be on my way to the Christmas tree lot to pick the perfect tree! So that's basically four things of the list already! This post is also the start of Blogmas 2016! So get ready for a ton of DIYs, holiday outfits, gift guides and more! I have so much planned for this year that I hope I have time to squeeze it all in. November flew by and I really want to be able to savor the whole month of December. What are some of the things you love to do this time of year? There's always room for a few more activities on the list! I'm pretty much done with everything except for the Christmas Mug!! I love Christmas so much, too! I hope you have an amazing holiday season!! i love love this post-different then what i've seen!! Thank you for making this list-I'll now be needing it to remember all i have to do. Thanks, Lourdes!! It was so much fun to make! I just have to make sure I accomplish everything on it! These are such great ideas! I definitely want to do some of them with my family. Thank you for sharing! Thank you, Kailei! I hope you and your family have a very Merry Christmas!! Hi! I'm Evin, a fashion-loving twenty-something, who loves to create, drink coffee and read.